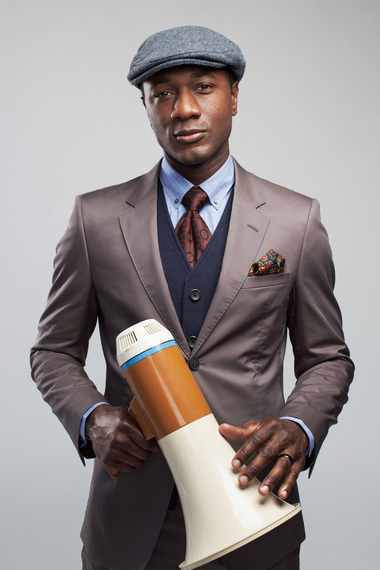 If you don't know singer-songwriter, Aloe Blacc from his multiplicity of top-selling and critically acclaimed singles and collaborative hits, then you've probably caught him alongside German-born musician, DJ and music producer, Zedd in a recent and goosepbumpy commercial commemorating M&Ms candies' 75th anniversary. Playing themselves in the national television spot, Zedd and Blacc come to the rescue of two animated M&Ms characters (and would-be record artists) trying to cut a track on their own. The spot closes with a Aloe Blacc singing a beautifully reimagined version of "Candyman," the late Sammy Davis Jr.'s 1971 ode to Willy Wonka. Some may be surprised to learn that the United States is one of the world's biggest, if not the biggest, marketplaces for prison companies. Building in the profit motive within the nation's corrections system assures that the most economically and politically vulnerable American communities remain the hunting grounds for a systematic cultivation of future inmates to keep private lockups and prison cells full, says Blacc. One thing's irrefutable: Empty beds behind bars hurt profits, while beds with bodies in them make money. "The directive would come to be known as the 'immigrant detention quota' or 'bed mandate,'" says the Grassroots Leadership report. "The immigration detention quota is unprecedented; no other law enforcement agency operates under a detention quota mandated by Congress." But the so-called immigration detention quota's numbers pale by comparison to the astonishingly disproportionate overall number of prison cells occupied by people of color in the U.S.--most egregiously by African American people. Noting that people of color make up about 59 percent of those incarcerated in the United States, a JFA Foundation study concluded that if the number of white inmates and non-white inmates were proportional to the general population, America's prison population would fall by more than half: from more than two million to just under a million. Announcing yet another private-prison contract that his company secured in Arizona, Nashville-based CCA's president and CEO, Damon Hininger boasted of high "occupancy rates" and a 90-percent occupancy guarantee from the state of Arizona to fill private-prison cells in his statement aimed at Wall Street investors. "In connection with the new award, CCA will expand its Red Rock Correctional Center to a design capacity of 2,024 beds and add additional space for inmate re-entry programming at a total cost of approximately $40.0 million," Hininger said in the statement. "CCA expects it will begin receiving inmates from Arizona under the new contract beginning late in the third quarter or early fourth quarter of 2016, at which time the new contract will commence. However, a definitive ramp schedule has yet to be determined. The new contract is expected to generate approximately $22.0 million to $25.0 million of annual revenue." My interview with Aloe Blacc focuses on how he got to this moment where millions of eyes and ears are suddenly on him, as well as the artist-activist's lesser known work as a philanthropist and advocate for corrections reform. As you'll learn, Aloe Blacc's musical efforts are just as focused on ending the use of private prisons as they are at entertaining. When was your breakout moment? My breakout moment was when I released I Need a Dollar. The song became the theme music to a show called How to Make it in America. That was an HBO production. But in Europe you had a lot of young people downloading the TV show illegally and watching it. That afforded me the opportunity to travel to Europe, do a lot of TV shows, and magazine interviews and achieve almost a pop-star status in Europe. It really started in Europe; that's how I got the attention of Simon Fuller, who established the Pop Idol, American Idol franchise and international management company, XIX. It was 2011 when they reached out. How to make it in America came out in 2010, I believe. I released my album that year as well. It was just really an awesome opportunity for me to get a lot of exposure. But I was on the indie label at the time and we didn't really have the budget to engage a proper U.S. marketing campaign. So I took the next two or three year to really focus on Europe and it worked out really well for me. Do you remember the moment when you realized you were big in Europe? Wow. I guess I first realized it when I was invited to what was really a pretty big television show in Paris. It was my first television appearance. It made Paris and France my first big market. Did you have an idea what your relationship would be with Europe? In other words, was there ever a thought that you would remain big in Europe, but maybe not make it in the U.S. the way you did "over there?" I did! I thought, "how ironic: How to Make it in America was the ventricle to bring my music to the international stage, but I still haven't made it in America." I did have some reservations, but the amount of respect and the awesome treatment I received in Europe from industry and fans is unparalleled. It's not really the same in the U.S. There's a different appetite for art than in the U.S. There's definitely an appetite for consumption, but not art in the same way. My dad used to say "in America we're consumers; in Europe they're connoisseurs." I agree with that saying. I think that, unfortunately, American culture is strong and pervasive that it is modifying the habits of people everywhere else. So, I hope Europe stays European and America stays American. You're a little hard to categorize as an artist or even as a celebrity. In what order of importance, one through five, do you see your career: songwriter, musician, writer, businessperson, activist-philanthropist? I'd have to say songwriter and activist are at the top. One of my goals in life is to be admitted into the Songwriters Hall of Fame. That goal keeps me on my path to write the best songs I can as judged by my peers in the landscape of music and songwriting. And, that's a lifestyle goal; that's not something you can do with one album. You can't just win an award and in a year you're there. But I have some restrictions; and part of that is to use my music to make positive social change. So with that, as I'm writing the best songs I can possibly write, they also have to be stuff that can make a positive social impact, whether that's from visibility to the message of the song itself--or both. I would actually put activist first. So activist first, songwriter second. What about musician? I used to play a lot of trumpet, a little bit of guitar and piano. But these days I work with musicians who are virtuosos. I mean, they study it and they cherish their skill in the way that I cherish my skill at songwriting. Rather than trying to be the guy doing everything, I share the production and creation with musicians. So, I would say that businessman would come probably last. But all of that is really starting to mix together because part of my most recent ruminations about how to save the world has to do with whether or not music is going to afford me the opportunity to really exact the change that I want. I say that because Michael Jackson is also one of my inspirations when it comes to philanthropy as an artist. I think that he set the record as far as the most charitable artist with $350 million-plus. (*) That's a benchmark for me. As an artist if a can get to donate or be responsible for donations of $350 million, then I will feel like I achieved that goal and will have followed in the footsteps of greats like Harry Belafonte, Sidney Poitier and Michael Jackson, who actually used their art to forward a movement. We're kind of in a state of limbo because artists are not able to make what they made in the past, but I want to leverage my profile and my brand to create some other income-yielding opportunities so I can get there. That sounds a lot like journalism these days--especially freelance journalism. You kind of have to find ways of leveraging one opportunity that may not be a revenue generator toward others that are--all the while hoping that you're telling people's stories and somehow making a better world. I understand that. I made a promise to myself that when I got signed to a major recording label that I would do what I can to be counterpoint to negative messages in the mainstream media, whether it's television, film, or what have you. What you see with radio is sort of propagation of violence or misogyny. I want to offer a perspective that complements movements like Black Lives Matter. If the only references for new or young police offices who have never had an interaction with young black men except what they see on scripted television, unscripted television, radio or music television--if that's all they're seeing, then their perspectives of who they're seeing on the street are going to be kind of skewed. They'll assume we're going to be hostile or unfriendly. My job is to be a counterpoint. But Aloe, aren't you letting those folks off the hook? Shouldn't we be able to hold grown men and women, especially police officers, to a level of imagination to be able to figure out that those are racial stereotypes--that young black men are real human beings, that they are as multidimensional as anyone else? You know, I love your question. But because I took a psychology class, because a particular study has been replicated over and over again since the 1970s regarding race and attitudes about race, I would say, yes we should hold them to that standard; but at the same time, no we can't because the statistics don't lie. The stats from the psychological studies don't lie, and the stats about police shootings, assaults and wrongful arrests of young black men don't lie. Maybe we should replace "businessman" with "realist" or "pragmatist" in that list? [Laughs] Speaking of business and pragmatism, I remember when I was in middle school--this is like 1991-92; I was like 13--a kid, a friend of mine, said his dad was doing a lot of investing in corrections corporations. I didn't even know what that meant. I thought, "well, that sounds cool." The three strikes law was signed into action in 1994, I think. Knowing that there was a company profiting off of American citizens at the same time there was a new law targeting American citizens to go to jail to increase the profits of these private companies...I didn't know back then, but now I see how all of this was not a conspiracy; it's just capitalism. But it's capitalism without compassion. Now, if you have compassion, you don't create laws that target certain demographics of your population. You don't create legislation that demoralizes and destroys lives. You create legislation that helps people and uplifts communities. Some business is not necessarily practical or pragmatic. I understand how they're immoral, but how do you mean that private prisons are impractical and not pragmatic businesses? They're profitable for the companies and their investors, but they're anything but practical or pragmatic for society and for taxpayers. The numbers that we see here in the Los Angeles Unified School District system are about $10,000 spent per year, per student. But we spend about $60,000 per inmate. The prisons and the prison guards unions are incentivized to keep every bed filled. Every person arrested is more money for the corrections industry. When I found out that in L.A. County, the Sheriff's Office runs the jails it suddenly made a lot of sense to me how they operate and work to meet their arrest quotas. We've built more prisons in California than universities in the past 20 years--I think we've built three universities and 20 prisons. It shows where our focus has been. It's like our government has been hijacked. Who's going to un-hijack it; are you encouraged or discouraged by the 2016 presidential race? I think Bernie Sanders walks the walk and talks the talk, and he has been for many, many years. Do you hope he's our next president? Of all the candidates available now, I would say yes. I would hope that he or someone with a similar record would become president. What do you say to a Hillary Clinton versus Donald Trump matchup? Of course, I would hope that Hillary Clinton or anyone other than Donald Trump would ascend to the White House. But I feel that a Donald Trump presidency would probably lead to an impeachment pretty quickly. I don't think his business practices would go well with the presidency. Do you think there is a ceiling on the number of people stupid or hateful enough to vote for a man like that? There is definitely ignorance out there. I literally saw a woman answer a reporter about why people should vote for Donald Trump by saying that they should vote for him because he's powerful and rich. This was someone who obviously had no concept of history and how power and wealth have been misused in human history. Yes, there's a lot of ignorance, but fortunately if their that ignorant, they're probably not even registered to vote. What work are you doing to end private prisons and the commercial incentive to incarcerate? One of the things that I was engaged in in California--and hopefully it spreads--was Proposition 47. We the people got together and did a lot of campaigning for legislation that would decriminalize misdemeanor offenses that have turned minor offenders into life-sentence inmates. It decriminalized the these nonviolent offenses through a judicial process so they can get out and get jobs. Some of the guys and the women who spent 15 years in jail got out and found themselves unemployable because of their record. Having it expunged or removed gives them the opportunity to get a job and start contributing to society. Rather than allowing the system to throw perfectly able-bodied people to the side so they can't really do anything to contribute, we had to push this legislation forward with the hope that other states might do the same. Are you trying to take that effort to other states one at a time, or is there a national campaign that you're working on? So that's what #Cut50 means: cut the prison populous by 50 percent? Don't feel bad. Not everybody knows, but yes; that's what this is about. [Laughing] Some people see the hashtag and say, "what's this #Cut50 thing about, like cutting 50 pounds or something?" Part of it is also creating awareness about prison labor and asking, protesting or boycotting companies that benefit from prison labor or make their products from prison labor for profit so stop. Whether it's Victoria's Secret, McDonald's or Nabisco, we're finding these companies and telling them we're not going to be your customers until you change your policies. If the boycott list is the stick, what's the carrot? The carrot is being on the right side of history. The carrot is if you don't want public shaming from your consumer base or at least a portion of your consumer base, avoid the public relations debacle. There was an episode of Orange is the New Black that tried to tackle this issue. They showed women working on lingerie, sewing together lingerie, which a lot of people argue, "OK, they're giving them jobs. They're behind bars. They should be able to work and to feel value and a sense of pride." That's true. But work should come by way of rehabilitation so they can flourish when they get out of jail, not just through highly punitive measures while we put people away for longer and longer and longer so that companies can profit off of their labor. Is there any place for prison labor, such as inmates making license plates where the state is actually the employer or growing food for the prison population itself-or roadwork, where, again, the state is the employer and the prison operator? There is a place. I'm saying we boycott for significant prison reform. That doesn't mean complete eradication of prison labor. But it needs to be used for the purpose of rehabilitation I'm saying we stop incentivizing companies to lobby for exploitation of free or almost free prison labor. The inmates are making less than twenty cents an hour. This gives incentives for companies to lobby for more incarceration. In part two of my interview with Aloe Blacc, we discuss the unique challenges LGBTs, especially transgender youth, face when they are incarcerated. A change.org page for Aloe Blacc's prison-reform collaboration with veteran activist and opinion shaper, Van Jones called #Cut50 can be found here. *A 2009, Los Angeles Times article noted that some estimates put Jackson's charitable contributions at about $500 million. In 2000, the Guinness Book of World Records reportedly listed Michael Jackson as having given to more individual charities than any other pop star in history.